Some Australian Cabs have a distinct aroma of mint or eucalyptus that makes them endearing and unique. 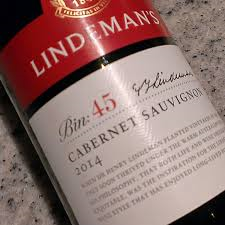 This bargain wine has a bit of that character on the nose complementing red current and black cherry aromas with some dusty baked earth and hints of vanilla. A good introduction. But in the mouth, the opening of sweet fruit quickly turns to sour cherry and that tartness persists becoming more and more prominent as the wine evolves on the palate ultimately ruining the experience. The acidity sticks out like a sore thumb. The tannins are soft but persistent enough to give some length to the peppery finish but the wine is too awkward to be fully enjoyed. With food like a burger or pizza, that sour character is masked and the wine will seem refreshing but I can’t recommend this as a sipper.